As the weather warms up, this writer turns to her favorite big box store to make casual gatherings feel special for her guests, and manageable with her schedule/budget. Here are the staples on her shopping list. The sun is shining, daylight savings has us enjoying longer days and Spring is officially here. In the blink of an eye we’ll be swapping out our closets and stocking our kitchens with fresh spring produce. From cookouts and parties on the patio to showers and daytime brunches, there are opportunities galore to take advantage of the rising temperatures with friends and family. I absolutely love having people over; some days I want to cook dinner for friends, start to finish from scratch. Other times, I go potluck-style and only focus on the main course. Occasionally, I’ll order a bunch of pizzas, whip up a salad, and call it a party. And other times, especially in spring/summer, I want to do as little cooking as humanly possible and simply arrange food on some pretty platters. My one-stop shop I rely on as my solution? Costco! If you find an artichoke spinach dip better than the one from La Terra Fina at Costco, please let me know immediately. It. Is. So. Good. Spoon it into a serving bowl alongside a jumbo bag of Stacy’s Pita Chips (also found at the bulk-havens paradise.) Secretly, I always hope there is some leftover for me to enjoy on my own or I’ll just buy two containers in advance and tuck one in the back of the fridge for myself. I was discussing this very dip with my coworker and she loves it so much, she only allows herself to buy it once every few months! It can be served cold or warm, I usually set it out straight from the fridge to keep things easy. For future reference, there is also a recipe on the container that I’m anxious to try; you simply spread the dip on top of pre-baked pizza dough with some fresh, grated Parmesan and cook in the oven for a few minutes. Sounds like an easy and impressive app, right? Just trust me on this one—buy the dip, serve it, and definitely stock away some extra. I think these affordable loaves lend such a chic touch to any gathering. They only take a few minutes to warm up in the oven and let’s be real, very few things smell better than baking bread. Slice your baguette(s) up and serve alongside the artichoke spinach dip mentioned above as a different dipper option. Or if you have a little more time on your hands, you could fancy it up and make a batch of delightfully topped toasts—like some simple goat cheese crostini, Strawberry Bruschetta, Field Pea and Radish Crostini, or Blue Cheese and Honey Bruschetta. You can use any leftover bread for one of these recipes or dice up with some herbs and throw in the freezer to use as breadcrumbs another day. If you are going to be purchasing booze in bulk, buying it at Costco will help your dollar go further than it would at the liquor store down the street. I usually go with a case of Bud Light and Corona and maybe a mixed, seasonal case if the mood strikes. Unload some of them into your fridge, but be sure to save room for actual food too. Ice down a cooler or bucket that you can bring outside with you so people don’t have to go in and out more than necessary. For past gatherings, I’ve also purchased limes from Costco, and sliced them so guests could top off their beers with some extra zest, but this has generally left me drowning in limes for a couple of weeks. So unless you’re hosting a very large group, I’d typically save purchasing produce items from the regular ol’ grocery store. This tray of sandwich glory is such a huge timesaver and the croissants provide a nice elevated touch to any get-together. I cut these in half and rearrange them on my own platter with some cute condiment bowls and little spoons, so the sandwiches don’t get soggy and guests can dress them up to their liking. Note: I frequent two different Costco locations here in Chicago, and have also found these trays in Ohio, so am fairly certain they’re one of Costco's standard pre-made items. This combo is simply one of those crowd-pleasing favorites that is hard to go wrong with. You can get a giant tub of guacamole (as well as salsa if you wish) for a great price. And Costco’s strip tortilla chips are some of my all-time favorites. My sister recently clued me in to the fact that Costco actually carries individual servings of their guac too. Is that helpful for a warm weather gathering? Not really, but you might as well pick some up while you’re there for easy, portable snacking during your other spring and summer adventures. I’ve talked about the benefits of keeping LaCroix stocked in your fridge, and a warm-weather party is definitely a prime time to have this bubbly water available. It’s a wonderful substitute for booze but also acts as a fun mixer for cocktails or a simple vodka-soda. Especially when it’s warmer out and it’s extra important to stay hydrated, having these mixed into your cooler alongside beer, bottled still water, and soda will give your guests a nice variety of beverages to choose from. It’s also easier (and more sanitary) than prepping and setting out pitchers of water if you’re short on time. Pizzas are actually one of my favorite things to make from-scratch, but in sticking with our easy-peasy party prep method, these take-and-bake pizzas from Costco’s prepared food section are a no brainer. You still get the satisfaction of baking up a fresh pie, but with the ease of simply sliding it into your oven, setting a timer, and taking the credit once it’s all baked up and party-ready. Costco offers a few different varieties in terms of toppings. If you have some extra time and supplies you could even fancy them up a bit on your own, tossing some arugula and lemon juice on a plain cheese ‘za or some freshly grated Parmesan on a deluxe pie, and voila. Cut into easy-to-eat squares and arrange on a platter for extra ease. If you've read my article on why I’m serving grocery store sheet cake at my wedding, you probably could have guessed that cake from Costco would be on this list. The first time I purchased a Costco cake was for a July 4th cookout I was hosting. It had a giant American flag on it, which felt festive and the massive cake definitely made for a fun conversation piece! I think we had cake for breakfast for a week after that with all of the leftovers. A giant sheet cake costs $19.99, and I’ve always been fine with simply purchasing whatever was available on the shelves. However, you could save yourself some stress and call ahead for one, and even have it customized for your soirée. I purchased my first Costco shrimp platter on a bit of a whim… and to be honest, I wasn’t totally confident it would be the best addition to my cart. But I wanted something a little different from my typical party go-to's, and I was ultimately so pleasantly pleased with this pick. The shrimp are fresh (not to mention, a great size), and I also loved the cocktail sauce—slightly spicy, but mostly sweet, so you don’t have to worry about buying extra sauce to accompany it. 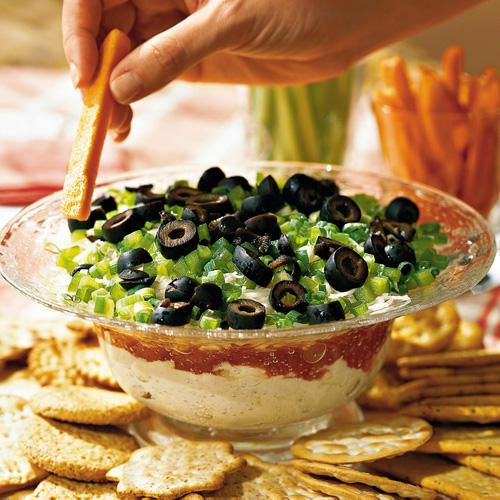 This is one of the pricier items on this list, but adds a nice protein option to your spread and is especially fitting for an evening gathering. Last but not least, the most valuable gem I’ve found in the prepared foods section of Costco is their veggie platter. I LOVE it; I will go out of my way to go to Costco just for this healthy staple. I know it seems simple, but having the veggies prepped and ready legitimately saves loads of time. If you want to use your own platter or tray, it’s an easy transfer and can add some nice color to your display. At $9.99, this platter is a total steal. Any leftovers you can bag up, and then toss with olive oil and roast for dinner the next day. It’s always a wonderful buy, no matter the crowd. When we have some extra time and energy on our hands, picking up some dogs/brats/burgers/peppers/onions to throw on the grill for a true cookout is another favorite of mine. 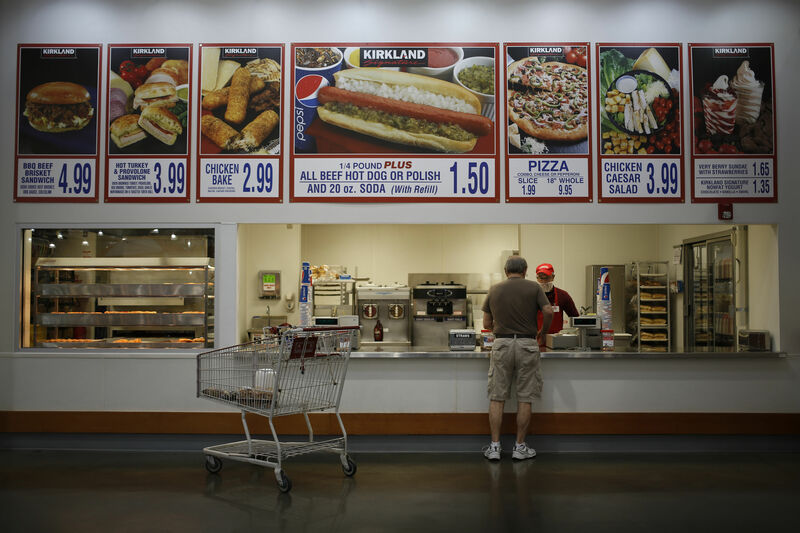 Costco’s bakery is huge, and in addition to regular burger and hotdog buns they also have mini-pretzel buns, Hawaiian rolls, and ciabatta buns—as well as big packs of sliced cheese for sandwiches. Of course, there are plenty of different chip, juice, water and soda options, pre-mixed cocktails, wine, and frozen appetizers to discover. 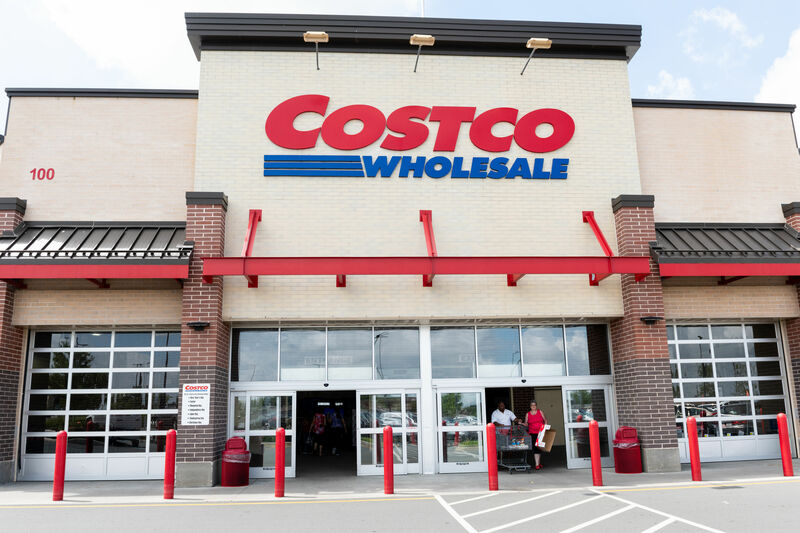 Quite literally, there are hundreds of goodies worth trying out at Costco, but these ten are my easy, ready-to-party staples. If your priority is getting friends and family on the patio, these items will help get you there, enjoying an impressive spread with little hassle.